In addition to the principal beaches at Blackpool, Slapton and Beesands there are a number of others within reach of Stoke Fleming. 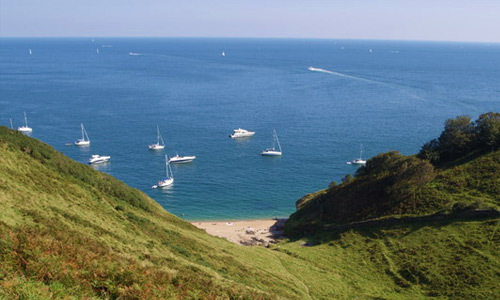 Landcombe Cove is just south of Blackpool Sands, and can be reached from the South West Coast Path. 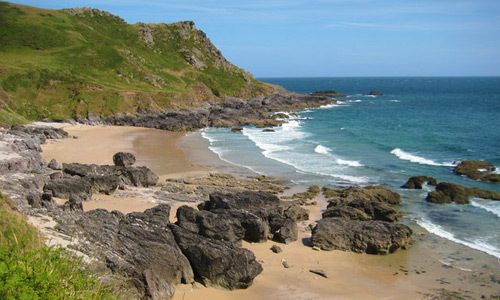 Further afield there are excellent sandy beaches at East Portlemouth, Salcombe, Bantham, Bigbury, Thurlestone and Hope Cove. 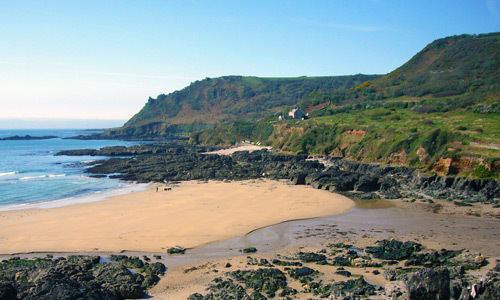 Great Mattiscombe Sand, a sheltered cove with a sandy beach, is accessible from the car park at Start Point, down a steep path. Lannacombe Beach, a small sandy beach at high water but with extensive sands at low water, is at the end of a narrow lane off the road to Start Point, through the hamlet of Kellaton. There is limited parking. The AONB stretches from Berry Head in Brixham to the outskirts of Plymouth and encompasses the whole of the South Devon Heritage Coast. The River Dart as far as Totnes, the Salcombe-Kingsbridge estuary, and the lower reaches of the River Avon, River Erme and River Yealm. The SW Coast Path stretches 630 miles from Poole Harbour along the coasts of Dorset, Devon, Cornwall and Somerset to Minehead on the Bristol Channel. In this area it runs from Dartmouth south to Start Point then west to the Salcombe estuary.